The preparation of the hot air balloon is almost completed. It is 7 am. 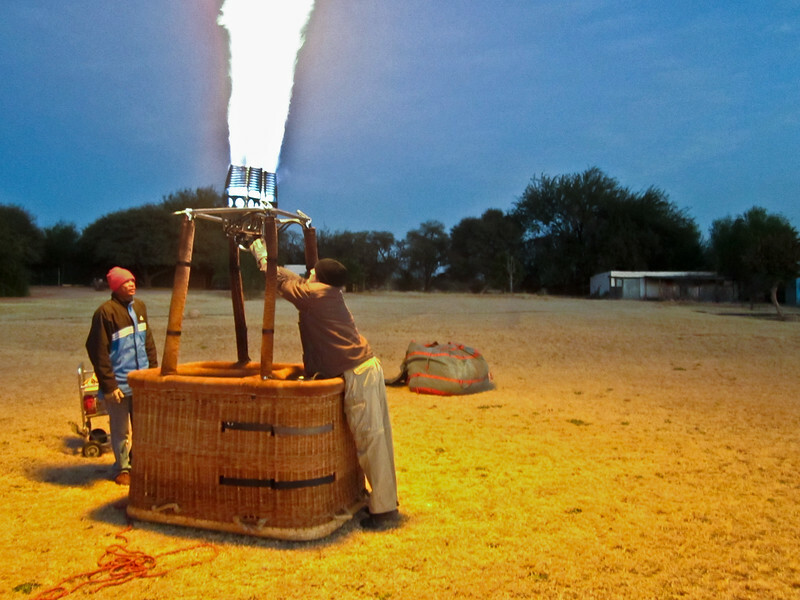 Balloons must avoid strong and gusty winds for takeoffs and landings, and the air tends to be relatively still before sunrise.